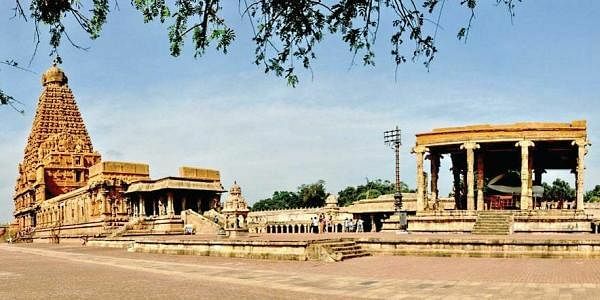 MADURAI/THANJAVUR: The two-day Art of Living programme at Brihadeesvara Temple in Thanjavur was moved out after Madurai HC Bench restrained from hosting a private event. The PIL submitted in the HC contested that the AOL erected tents close to the Big Temple for the event that is harmful to the architectural and heritage value of the 1000-year old temple, which was also a UNESCO World Heritage Site. The litigant also said that the act of the government in granting permission to a private party to conduct event at the temple would set a wrong precedent. The bench, comprising justices K K Sasidharan and P D Audikesavalu, ordered interim injunction. Art of Living shifted its two-day meditation programme to a private hall. It had planned “Unveiling Infinity” under the “Wisdom series with Gurudev” from Friday evening to Saturday. Participants had to pay a fee.